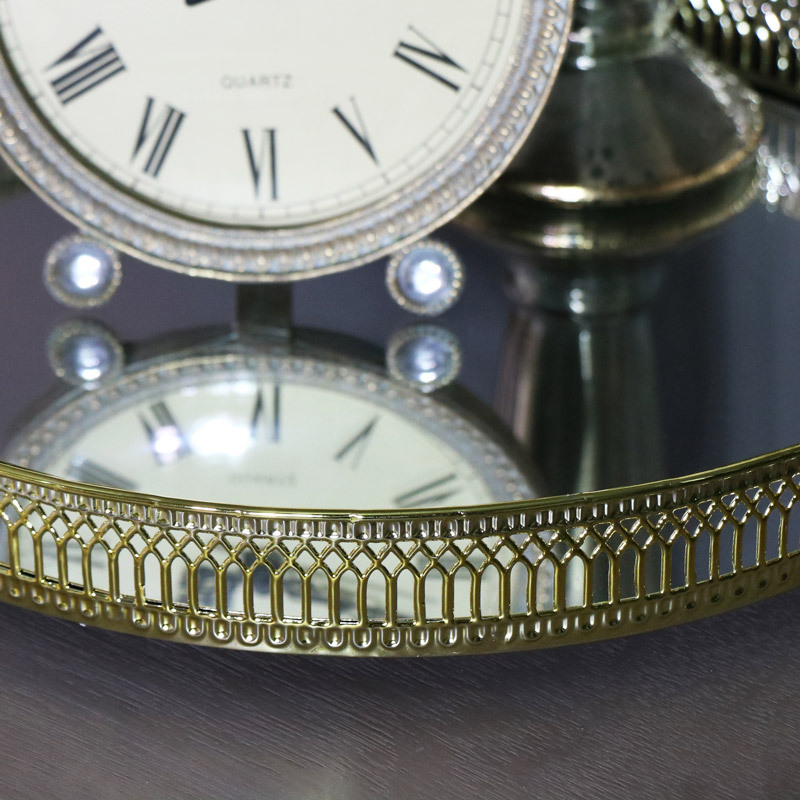 This beautiful mirrored display tray is a great home accessory. 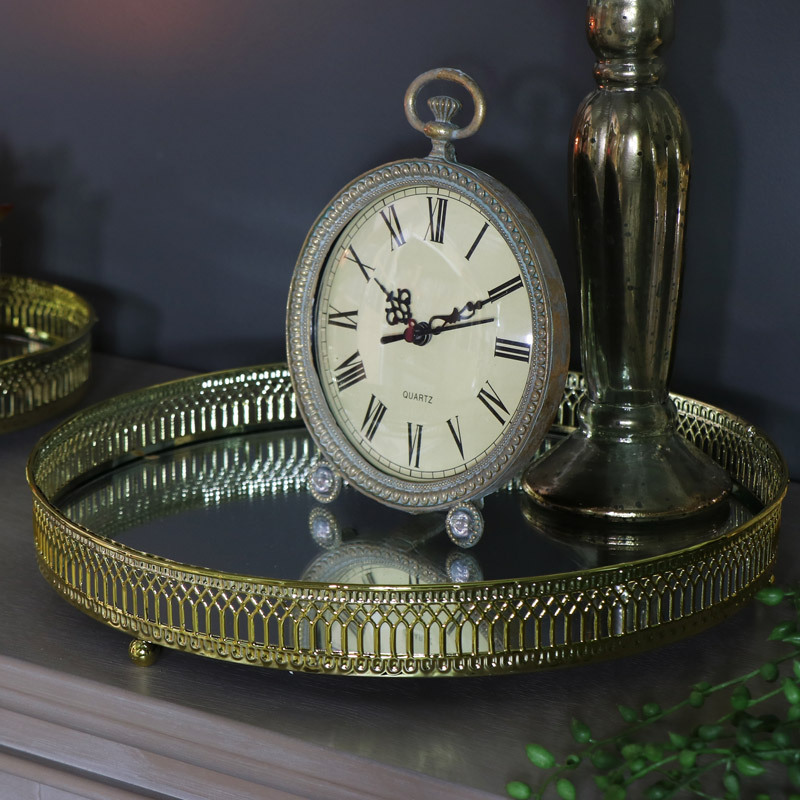 Polished gold ornate frame surrounding a mirrored base making this the perfect display stand for candles, sweet treats, ornaments and a fantastic wedding centrepiece. How better to serve glasses of champagne or cakes at a wedding or event than on this mirrored display stand. With so many uses from weddings and parties to simple displays for candles, ornaments and your favourite perfumes.